It was one year ago that Amy Winehouse died. It's hard to believe that today already marks the one-year anniversary of Amy Winehouse's passing at the age of 27. And in a post simply titled "Remembering Amy," the late singer's father, Mitch Winehouse, is doing just that. "Amy always surrounded herself with music, even during her darkest times. I thought a lot about Amy's relationship with music, her own and the music of other artists, while I was writing my book," blogged Mitch, referring to his recently released memoir, Amy, My Daughter. "Of course, I loved her voice - for me she was the greatest female vocalist of all time - but I also cherish Amy's lyrics." He goes on to recall the first time he heard Amy's recording of "The Nearness of You" and how it was the most beautiful thing he'd ever heard. "Suddenly the world was a better place, suddenly everything was right and I felt a sense of inner peace," he recalls. MORE: First Listen--Amy Winehouse and Nas' New Single "Cherry Wine"
Mitch, however, does admit that it is often hard to listen to Amy's album, Back to Black, "because all of the songs on that album, apart from 'Rehab,' are about her ex-husband Blake [Fielder-Civil], and all of the terrible things he put her through." 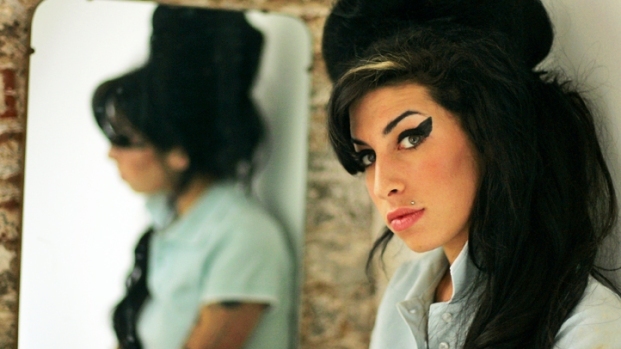 He concludes, though, by writing: "Sometimes listening to Amy's music helps me; sometimes it makes me feel more sad. I miss Amy more than I can say. When I've finished writing this I'm going to sit down with a cup of tea and listen to Amy's recording of 'The Nearness of You.'" Later this evening, Mitch will celebrate his daughter's life with a little karaoke at the London club Jazz After Dark. "It'll be one of those nights," he told Britain's Sun on Sunday. "There will be a lot of laughter and a lot of tears...We went there after Amy passed away...But that's the kind of night Amy would have wanted. She wouldn't want us moping around the house, she would have wanted us to sing."